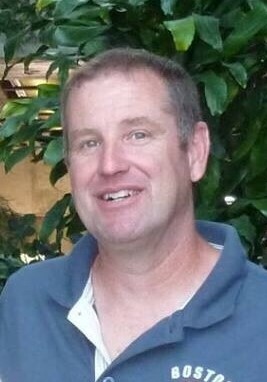 Philip J. Malone, 53, of North Grafton, passed away unexpectedly on Wednesday, August 22, 2018 at the UMass Memorial Healthcare-University Hospital after being stricken ill at home. He was the husband of Nancy J. (Johnson) Malone. Born in Houston, TX, he is the son of JJ and Sue Malone of Westborough. He was raised and educated in Westborough and was a 1983 graduate of Westborough High School. He also graduated from the University of Massachusetts at Amherst with a Bachelor of Arts in Psychology. Phil was employed as a house painter with Carl Oberg Painting for over 25 years. He was a communicant of St. Mary’s Church in N. Grafton and enjoyed fantasy baseball and football and was an avid Red Sox Fan. To Phil, Nancy was the love of his life and best friend and they had met as teenagers. He was kind, caring, hardworking and very devoted to his family. He also had a wonderful sense of humor. In addition to his wife and parents he is survived by three daughters, Kelly A. Malone and her partner, Allison Maresh, of State College, PA, Emily E. Malone and Paige J. Malone both of N. Grafton; three siblings, Michael D. Malone and his wife, Heidi Brenke-Malone of Spencer, Barbara A. Malone and her wife, Karen Holmes-Malone of Holden and Patrick W. Malone of N. Grafton; his mother-in-law and her husband, Marcia and Ken Williams of Grafton; his father-in-law and his wife, Russ and Jean Johnson of Westborough; his sister-in-law and her husband, Susan and Kris Karlgren of Apple Valley, CA; his brother-in-law, Russ Johnson of NY and nieces and nephew, Jesse, Matthew, Sarah and Kaitlyn. He was predeceased by his infant son PJ Malone. His funeral Mass will be celebrated on Monday, August 27, at 10:30 A.M. in St. Luke the Evangelist Church, 70 West Main St. Westborough. Burial in St. Luke’s Cemetery will be private. Calling hours at the Pickering and Son Westborough Funeral Home, 62 West Main St., Westborough, are Sunday, August 26, from 2 to 6 P.M.